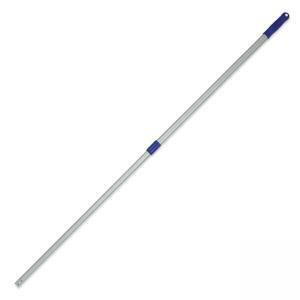 Microfiber Pro Flat Mop handle is made of lightweight, long-lasting, aluminum that won't rust or corrode. Twist-lock mechanism allows adjustment from 39" to 60". Handle is designed for use with the Wilen Microflex Duster.